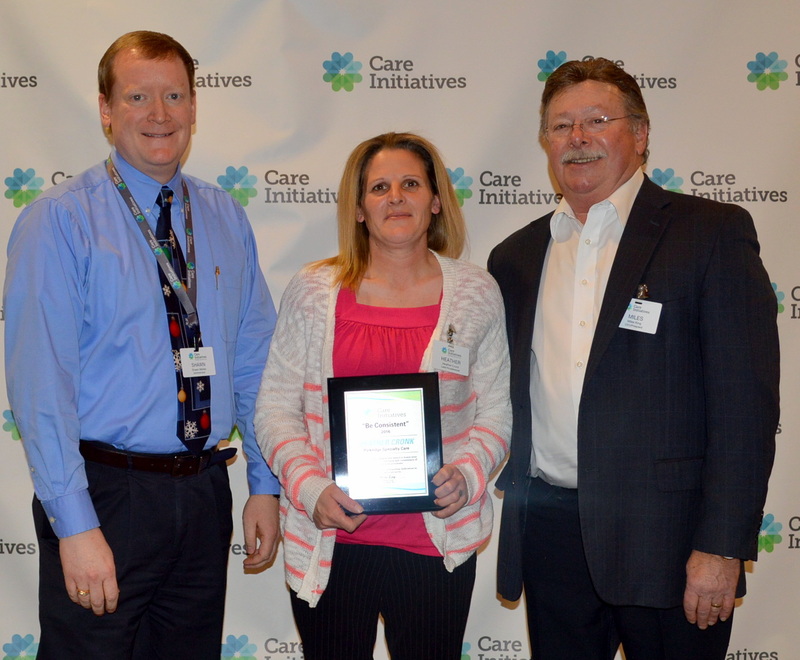 Heather Cronk, lead housekeeper at Parkridge Specialty Care in Pleasant Hill was awarded Care Initiatives’ “Be Consistent” award at the Care Initiatives’ annual award brunch Friday, Dec. 16 in West Des Moines. Furthermore, it has been noted that Heather takes the time to get to know a little something about each resident. “She greets them by name every day,” Mikles said. The “Be Consistent” award is one of six “Core Value” awards given to a nominated employee throughout the statewide organization of 3,000+ employees. Parkridge Specialty Care is one of 50 locations owned and operated by West Des Moines-based Care Initiatives providing skilled nursing, rehabilitation, Alzheimer’s/dementia, assisted living and hospice care throughout Iowa. For more information about Care Initiatives or Parkridge Specialty Care, visit careinitiatives.org or call 515.265.5348.